Welcome to the resources section. Here you’ll find reports and other tools we know you’ll find useful. You may access the articles listed below by clicking on their title. NOTE: Many of these reports are in PDF format and require Adobe PDF Reader. If you do not have the Adobe PDF Reader installed on your computer, you can download it for free from Adobe. Ten seconds. That’s all it takes. 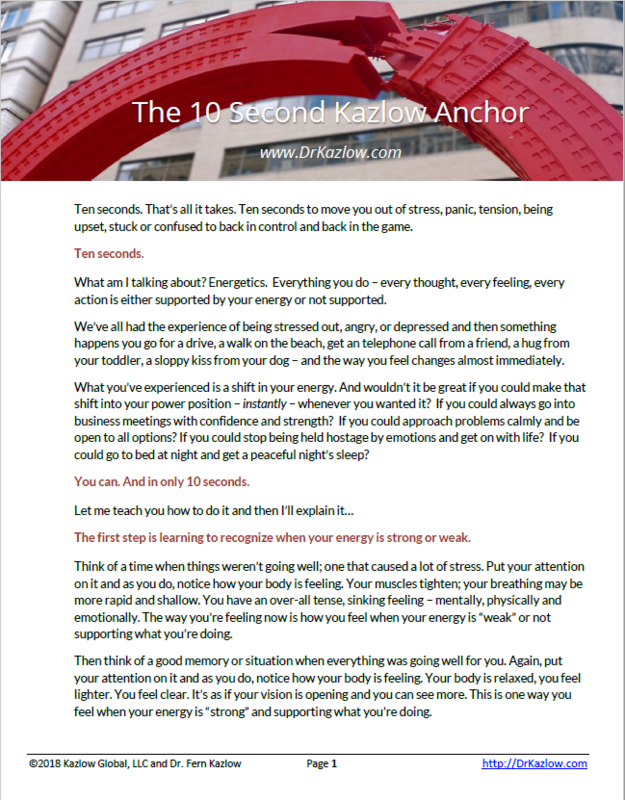 Ten seconds to move you out of stress, panic, tension, being upset, stuck or confused to back in control and back into the game. We’ve all had the experience of being stressed out, angry, or depressed and then something happens – you go for a drive, a walk on the beach, get a telephone call from a friend, a hug from your toddler, a sloppy kiss from your dog – and the way you feel changes almost immediately. What you’ve experienced is a shift in your energy. And wouldn’t it be great if you could make that shift into your power position – instantly – whenever you wanted it? If you could always go into business meetings with confidence and strength? If you could approach problems calmly and be open to all options? If you could stop being held hostage by emotions and get on with life? If you could go to bed at night and get a peaceful night’s sleep? In this FREE special report, learn the 7 critical mistakes made when using Social Media in your business. 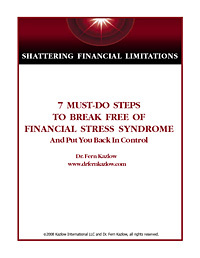 What is Financial Stress Syndrome? Ordinary financial stress is damaging enough. It impacts how you feel about yourself and the quality of your decision-making. It affects your behavior, your personal and business relationships, even your health. Feeling anxious, tense or worried when you have financial problems is normal. But what a lot of people are experiencing today is more than just the run-of-the-mill stress. And when that stress starts to overwhelm you, overshadows everything you do and takes a mental, emotional, and physical toll, then a line gets crossed. That’s when Financial Stress Syndrome takes over. The good news is that for most people experiencing Financial Stress Syndrome, relief can be immediate and a plan set up quickly to handle it on a long-term basis.